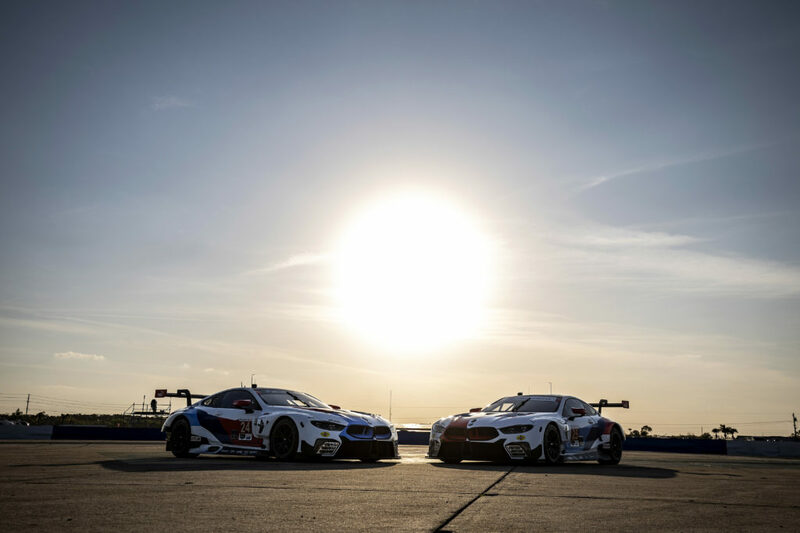 Woodcliff Lake, N.J. – January 25, 2015… With six hours remaining in the 2015 Rolex 24 at Daytona the sun has come up and put more than 13 hours of darkness behind us. BMW Team RLL currently stands third and fifth in the GLTM class. Augusto Farfus drove the No. 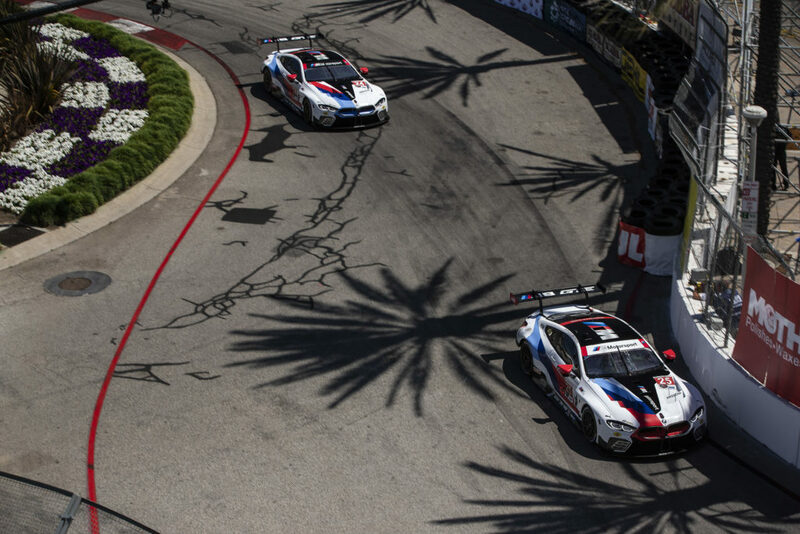 25 BMW Z4 GTLM for three stints before pitting from fourth place to hand off to Auberlen. The Californian drove another double stint. Next Spengler was back in the car for his second time. The brakes were changed during his second stint. Werner drove through the wee hours of the morning, racing the white Z4 to the front of the field for a significant time. Just as the 18th hour passed Spengler, now in the car and in the lead, had an off entering the Bus Stop and tore off the rear body work. He pitted for repairs, losing one position. Jens Klingmann triple-stinted the No. 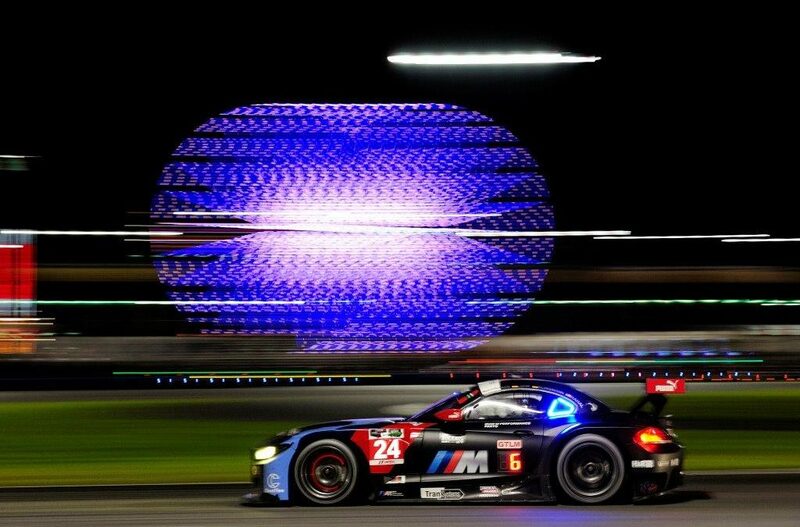 24 BMW Z4 GTLM moving back onto the lead lap. He pitted under caution and John Edwards was the next behind the wheel. Unfortunately, just past the nine hour mark bad luck struck the black Z4 for a second time as Edwards was hit hard from behind and pushed into a car in front on the restart. The damage to both ends of the car was repaired in the garage, but 29 laps were lost. Luhr and Rahal raced through the early morning hours, regaining three of the laps lost. John Edwards, driver No. 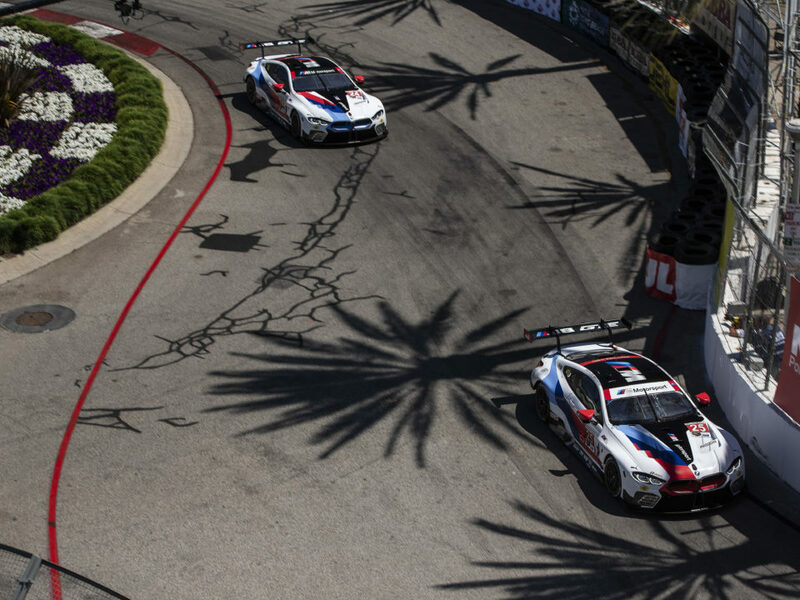 24 BMW Z4 GTLM – “I was a bit disappointed. I hopped into the car a bit early as we had a yellow as soon as I got to the pits. Unfortunately, I didn’t even make it to the second corner. There was an incident in front of me and I stopped and it was like a traffic jam on a freeway. Everyone stops for the incident and it causes one or two more incidents. I almost hit the guy in front of me but managed to stop in time and then got punted from behind. It was a hard enough hit that I was spun and pushed into the car in front of me. We had a lot of damage to both the front and the back of the car that took 29 laps to repair.